Swedish developer Simogo is one of the few studios that knows how to create stellar games for mobile devices. Simogo’s catalogue stands out not only because of highly refined touchscreen controls but also because of creative narrative and design. Bumpy Road was a unique take on platformers where players controlled the road to move a car forward while collecting photos that revealed the history of an elderly couple’s life together. Beat Sneak Bandit combined elements of puzzle, stealth, and rhythm games to create a surprisingly addictive experience. The heavily text-based Device 6, while being fairly sparse in its puzzles, kept me intrigued with its psychedelic mystery that felt inspired by Alice in Wonderland and The Prisoner. However, originality is not the sole factor that determines a game’s overall quality, as evidenced by Simogo’s latest game The Sailor’s Dream, an inventive yet lackluster work. The greatest, and perhaps only, strength of The Sailor’s Dream is its intriguing story. As a mysterious young girl dreams, her subconscious takes her to a vast, seemingly endless ocean, one she has longed to travel for years. She discovers several islands, each home to its own building. The memories found on the islands flesh out her past, specifically her sad solitude in an orphanage that she could only break free from during summers, when she would spend time with a kind woman in her cottage on the cliff. On occasion the girl and the woman were visited by a handsome sailor, implied to be the woman’s lover. The woman and sailor were the closest thing the girl had to a family. The story fragments are scattered with no specific order required to collect them, so the story will be told out of sequence, much like a troubled memory. The player learns that the sailor failed to return from the sea one day, that the woman he loved vanished without a trace, and that the woman’s cottage was burned to the ground, the girl suspected of starting the fire. Without enough context to know when each event took place, the player can be led to some rather disturbing assumptions about what incident preceded the next. Even when additional information is gathered to paint a clearer picture, it’s still upsetting to learn about the tragic fates that befell all three major characters. Like Simogo’s previous work Year Walk, there are two endings to The Sailor’s Dream, the second “true” ending only unlocked after completing optional tasks (which I’ll discuss later). Without going into too much detail, the conclusion is simple, melancholy, and fairly realistic in depicting the girl’s efforts to acknowledge how her past shaped her. It’s not a very happy ending, as the girl doesn’t find any closure to reduce the sorrow of the ghosts that she carries with her. I understand why the developers took this route: a saccharine, joyful ending would negate the game’s overall theme of how our life’s influences, good and bad, cannot simply be ignored. Aside from finding notes, there’s nothing to do while exploring the islands. None of the items connected to a memory can be interacted with. The only objects that can be manipulated are glowing shapes and symbols that produce musical notes when moved. This design is quite disappointing considering that several of the objects are set up in ways that could have made for puzzle scenarios, like pulling five hanging paper cubes in a specific order or rearranging stars as a moon passes by. Even simple activities like finding an object that could only be used in another area — such as taking the rusted key from the Secret Lighthouse to a locked box or bringing a telescope to the highest point in the Celestial Sanctuary to look at the stars — would have added some tangible sensation that I was part of the dream rather than a mere spectator. Clues to unlock the true ending are revealed in two notes. One note explains that the old sailor speaks into a radio at the top of each hour, hoping someone is listening and will respond to him. The other note mentions that the girl would sing into a bottle and toss it into the sea each day for a week. From these hints, players are supposed to deduce that they must visit the Transmission Horologe at the start of each hour (a.m. or p.m.) to hear all 12 sailor transmissions and collect a new bottle every day to complete the music box set at Seven Song Cottage. These quests aren’t pointless as they do provide more insight into events that happened before the start of the game. And in a way I can understand the delays in progression, which symbolize the frustration felt by the sailor and the women during the time they spent apart, waiting to be reunited yet never knowing how long it would take. But the execution ultimately detracts from the experience rather than enriching it. Unnecessarily forcing players to wait until they can proceed is one of the greatest sins a mobile game can commit. Simogo doesn’t compound the problem with exploitative microtransactions, but that doesn’t make up for how taxing the game’s delays can be on the player’s patience. This real-time waiting system works in games like Animal Crossing, which offers other activities until the desired objective can be accessed again. In The Sailor’s Dream, the player can only travel back to previously visited islands to play with the musical objects, or quit the game and do something else until it’s time to return and unlock the new secret. Any game that encourages its audience to stop playing is clearly doing something wrong. These delays can be avoided by adjusting the iPhone/iPad’s internal clock and calendar, but this process quickly becomes a chore. While I have no real intention of playing The Sailor’s Dream again, I can’t say it is awful. It’s very imaginative, presents an unfolding mystery that I found captivating, has incredibly touching songs, and manages to create great atmosphere. I just wish the game allowed the player to do more than moving from screen to screen looking for the next part of the story. 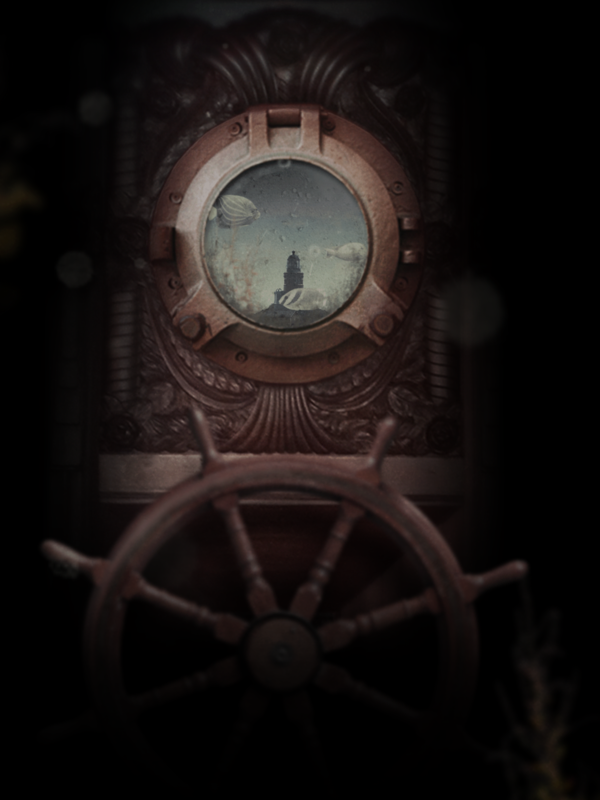 The Sailor’s Dream is definitely Simogo’s weakest game to date, but I won’t fault the studio for trying something new. Experimentation is crucial if art is to evolve, even though it doesn’t always result in success. Hopefully the developers will remember that a game’s world is most enthralling when players are allowed to be a part of it rather than being restricted to wandering around while a story is told. Posted in Uncategorized on January 1, 2015 by jbevan70.